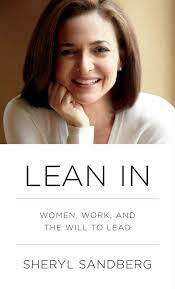 Recently, the women lawyers in our firm have been leading discussion groups around the book Lean In by Sheryl Sandberg. Sheryl is the COO at Facebook and one of Fortune Magazine’s “50 Most Powerful Women in Business.” Her book about women in the workplace has received a ton of press lately—good and bad. Say what you will about the book, but there are some concepts that transcend gender roles at work and are good reminders to all of us. 1. We all need mentors and people to champion us. Sometimes the idea of mentors and a “mentoring program” is overused, and no one really understands what that means. We often overlook the real impact of having good and intentional mentors in our life. I think most of us have been in meetings where a group of people are trying to decide who to hire, who to fire, who to promote, or who to award a bonus to, and there are some people who have a little louder voice than the rest who seem to get behind a candidate. Especially when the candidates are similar, that person with a “champion” seems to stand out from the pack. We all need someone to champion us, no matter what our profession. How do we find someone to champion us? Often this is a mentor. Finding someone to seek advice from, to navigate your career path with, and to eventually champion you, is imperative in a successful career of both men and women. The book makes an excellent point in that your mentor does not have to be (and maybe shouldn’t be) your boss. This mentor can be an outsider to your business, can be a contemporary that you trust, or can be a person that you emulate. Just find one. A real one. Not just someone you with whom make small talk about the weather at fixed monthly meetings. 2. Careers aren’t ladders anymore; they are more like a jungle gym. Today people are much less likely to join a business after college or graduate school, work their way up the ranks, and end up CEO someday. People’s career paths aren’t straight and linear; they take diversions, they are sometimes horizontal, and they sometimes get off the jungle gym and take a break. The point is that we should be aware of every opportunity, not just the ones that appear upward and natural next steps. Some of the most successful people took a horizontal risk or took a trip down the slide for a year or two. You can still end up at the top of the jungle gym. 3. Have a real partner. The book points out that people really can’t get to the top of their professions, or achieve top business success, without support from a real partner. This doesn’t have to be a marital partner, but someone who helps take care of some of the other responsibilities and needs in life. Sometimes this is a whole village of people. Make sure the people in your life are real partners and not just another responsibility or task on your list. 4. Don’t leave the game before you have to. This was the chapter that resonated with me. This chapter discussed some of the subconscious decisions you may make that in effect lower your trajectory. I do this—all. the. time. This is the decision not to take the job in New York because eventually you might want to be close to family, the decision not to take that big project because you might want to take a trip next year, or the decision not to go away to college because this boyfriend might be the guy you marry someday (he never is—also see #3 above). Might, maybe, could be. Why are we planning for things that aren’t here yet? Why would you pass up an opportunity for a condition that isn’t present yet? The book’s point is a good one; don’t limit yourself unless and until you have an actual reason to do so. This post really resonated with me. I suppose I should read the book. I am in the middle of transitioning into my "second act" and the jungle gym comparison is very apt for what I am feeling. I believe many older workers probably feel this way without the proper image of what their career path looks like. The best advice for someone in my position is to find the right partner(s) to navigate these new waters of a new career path. I think this is a good book to read for men and women, and at all stages of a career. Even if you don't agree with everything, at least some things will speak directly to you. Good luck navigating the jungle gym!